Shafi and Rafi are indeed one of the most brilliant comedy movie director Mollywood has ever seen. Thier last movie Two Countries has earned more than 40 crore and is an ample example of how successful their movie can be. The latest news is that the duo will unite again for a Mammootty movie as soon as their commitments are over. The movie will be directed by Shafi and the story will be written by Rafi. As usually comedy will be the genre of the movie and the scripting of the movie is at its budding stage so apart from Mammootty nothing is revealed. Rafi and Mecartin , the name itself has be mistaken by many as if they though that is the name of a single guy. The combo has always sticked together whenever they appeared in public. After 2011 the duo agreed in parting ways. Rafi directed a movie with Dileep in lead role. Titled as Rig Master the movie was a super success. However Rafi at present is busy with Dileep's professor Dinkan as he is the script writer of the movie. 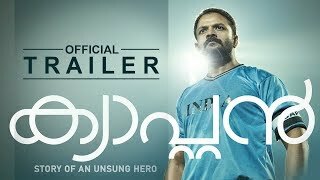 He is in discussion with Fahadh faasil for a new movie. To be short the Mammootty movie will be on theaters only in mid 2017. Joy Mathew is now writing his next, which will have Mammootty in the lead role. 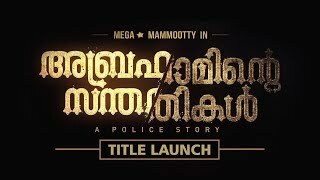 Movie has been titled Streetlights Mammootty plays a police officer!